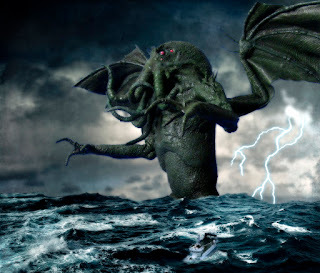 Horror and fantasy author H P Lovecraft would probably be quite astounded today if he could see what a pop culture phenomenon his monstrous creation Cthulhu has become. And then he'd marvel over how few people have actually read the story "Call of Cthulhu". 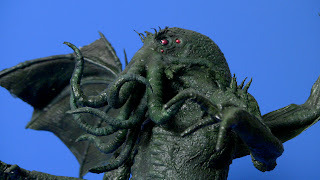 Cthulhu has become regarded as a maskot or symbol of unstoppable cosmic evil, and is (like his creator) the brunt of many an internet parody or satire. "Cthulhu for president -Why vote for a lesser evil", and so on. But what, in short, is really this green, octopus-headed, many-loved horror? 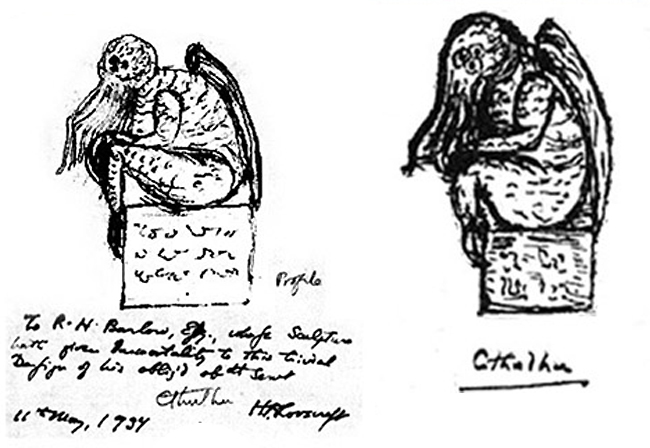 It's mentioned in a number of Lovecraft's tales, and tales by others trying to emulate his style, but is the focus of the short story "The Call of Cthulhu" (1928). A carved idol representing the monster is described thusly: "A monster of vaguely anthropoid outline, but with an octopus-like head whose face was a mass of feelers, a scaly, rubbery-looking body, prodigious claws on hind and fore feet, and long, narrow wings behind." He came from the stars to the primitive earth with a horde of his "star spawn", and fought other alien races, before retreating into his tomb/sleeping chamber on the island of R'lyeh, which sank into the ocean. Bad omens and hinted at portents reveal that he will eventually wake up, and bring doom to our civilization. Cthulhu is generally portrayed in a myriad of very similar interpretations, and the web is teeming with them. 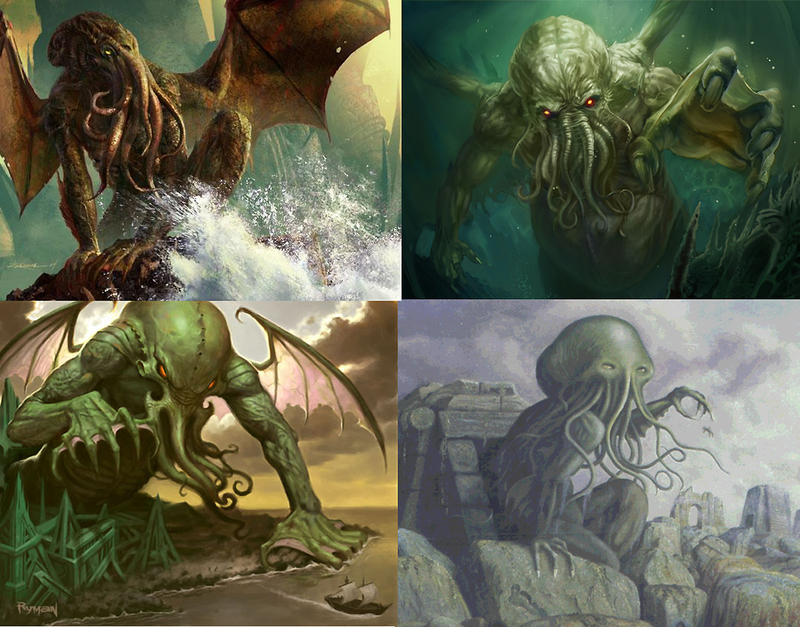 Mostly, Cthulhu looks like he's been working out quite a bit in his crypt over the millennia, and can't wait to flex his muscles before the horrified gaze of mankind. Lovecraft did at least a couple of sketches in letters, revealing how he saw his creation himself. 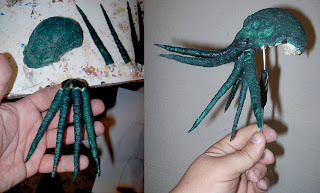 This version is a rubbery, bulbous, seemingly six-eyed abomination, that has actually been realized as a cast resin sculpture, available for sale on some websites. So, why haven't I made my own, stop-mo version of the great Cthulhu yet? Well, I haven't had a project for him. But now I have. 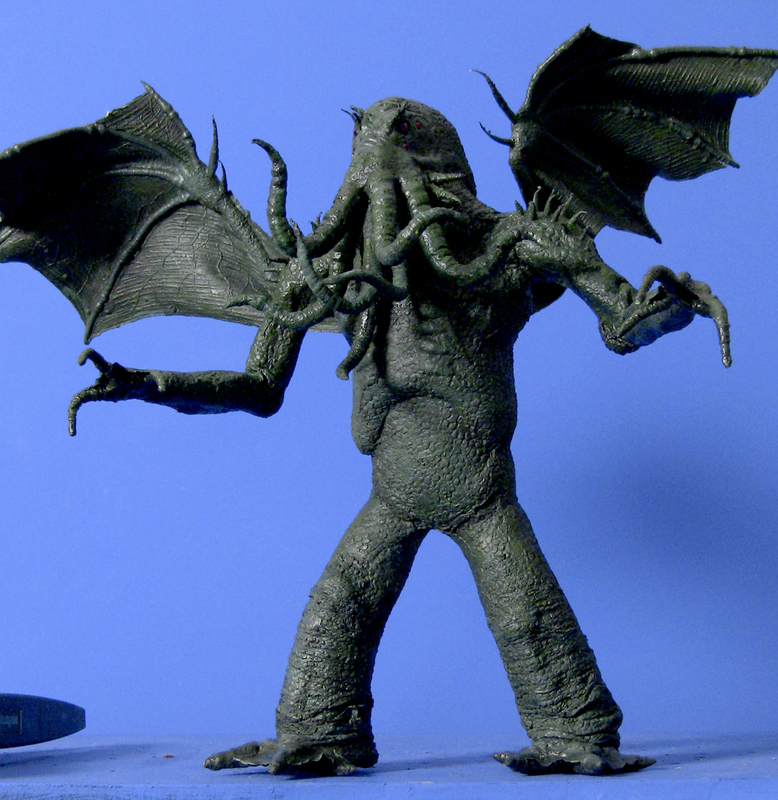 I won't be doing "The Call of Cthulhu" as that one has already been lovingly recreated on film by the Lovecraft Historical Society. Instead I have a few other ideas, which I will talk about in detail in a while. Lovecraft fans are quite vocal about their dislike for half-baked or totally erroneous interpretations of Lovecraft's visions. Hollywood has rightly taken the brunt of this critique. Amateur filmmakers usually avoid taking on stories that demand the recreations of Lovecraft's more elaborate creatures, instead focusing on tales that are driven by suggestions and atmosphere. I enjoy taking the other route. However, instead of burying myself in pictorial research on Cthulhu I just jumped into the creation of my puppet, opting to work as fast as I could, simply driven by my impressions of the character. The head sculpture in Chavant clay was not overworked. I added three eyes on either side, and stopped as soon as I thought I had captured the essence of the monster. For practical reasons I decided to give this Cthulhu only seven tentacles on his octopoid head. They're aluminum wires covered with soft, thick string, made fleshy by covering them with latex casts of wrinkly skin textures. 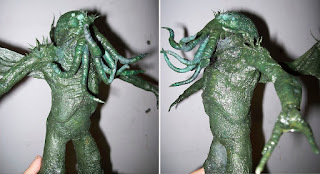 The latex head skin cast was supported by a “skull” made with Friendly Plastic thermoplastic, and the tentacly beard was stuck to this structure using more plastic. 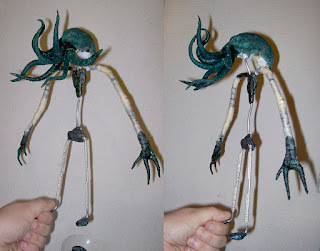 The body armature was made, as I always do, out of thick aluminum wires acting as joints, with Friendly Plastic bony parts. I've written before about my home-made technique for making bat/pterodactyl/dragon wings, but here's a recap: An aluminum wire bone structure is covered with sewing string, and latex. This whole thing is lowered into thick plaster of Paris, the cheaper hobby store kind, and half submerged. When the plaster is dry I etch veins and other details into the plaster, and the areas between the “Fingers” are covered with latex simulating wing membranes. When the latex has dried, the wing is removed from the plaster. 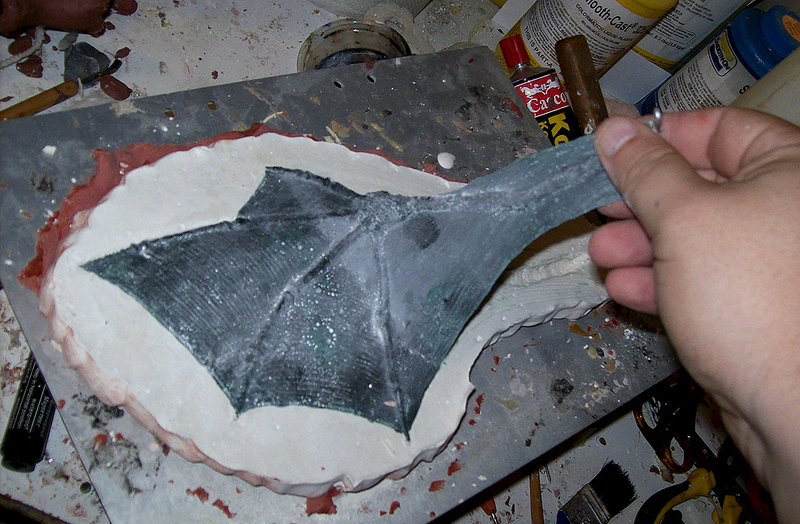 I either add more wing details to the smooth backside of each wing using a needle dipped in latex, or simply cast thin latex pieces from the plaster moulds, and attach them to the wings using liquid latex. 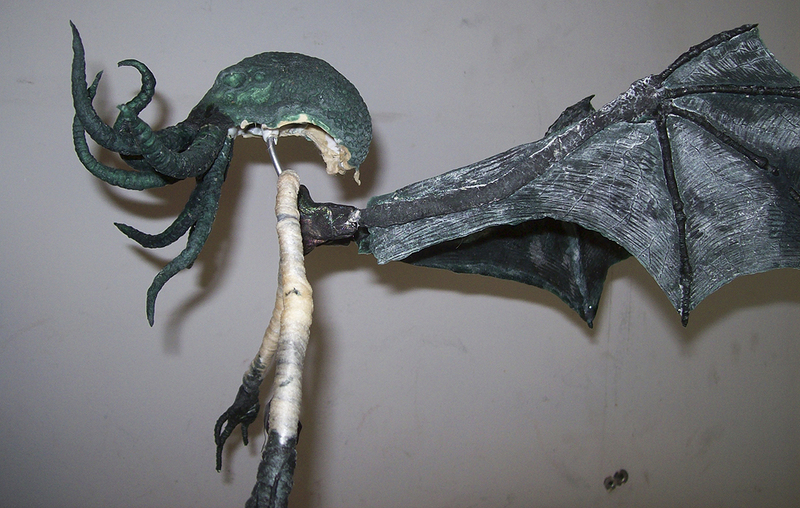 The wings are attached to the body armature with more thermoplastic. I can now begin to bulk up the body with padding. I did the padding work very quickly and without dwelling too much on details. I kept a vague body outline in mind, and tried to stick with that. 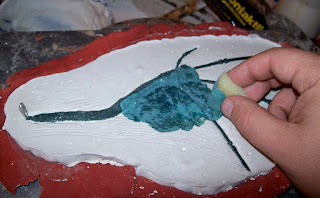 Some structures and muscle build-up were achieved using rolled up cotton pieces covered with a thin layer of latex. 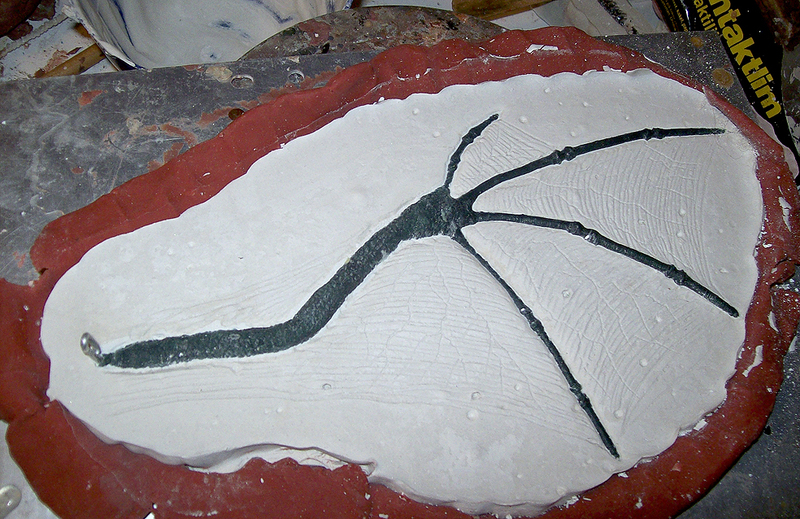 The skin was cast from a variety of old skin moulds, originally produced for monsters in other films I've made. I keep re-using those moulds over and over. 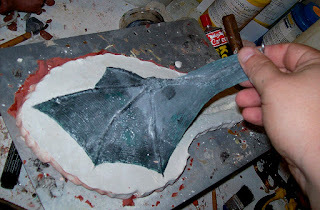 As you can see I've added a dark green tint to the latex during the casting process. Here's the puppet with a light coating of PAX paint (Pros-Aide glue plus acrylic paint)..
..And here it is with acrylic airbrush shading and detailing. I am a frequent user of pearly plastic scrapbooking beads to simulate glowing eyes. 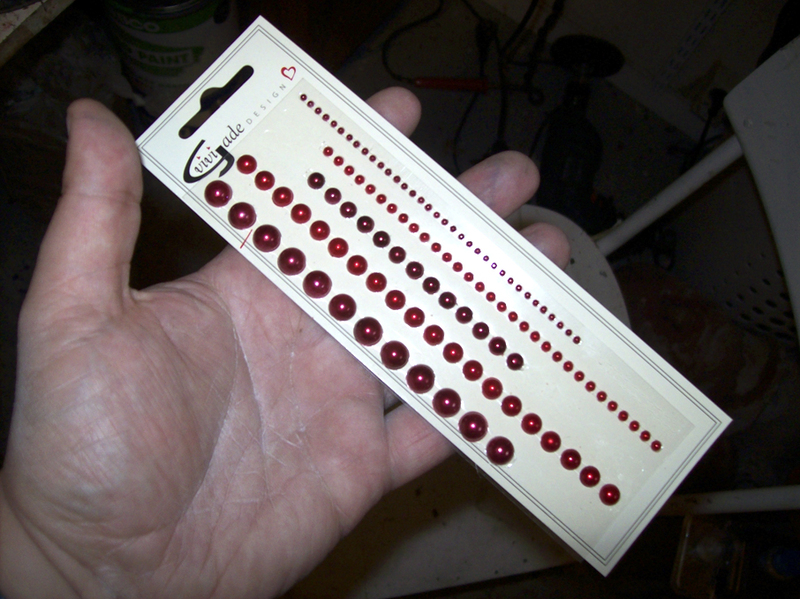 The thing is, these half-beads reflect light shone at them right back into the camera at all angles, so you'll always get a sinisterly glowing red dot (or whatever colour you're using) staring back at you from the centre of the “Eye”, even if your puppet isn't lighted very well. Much simpler and cheaper than using small electric lights. As you can see, this puppet isn't very big; just about a foot tall. 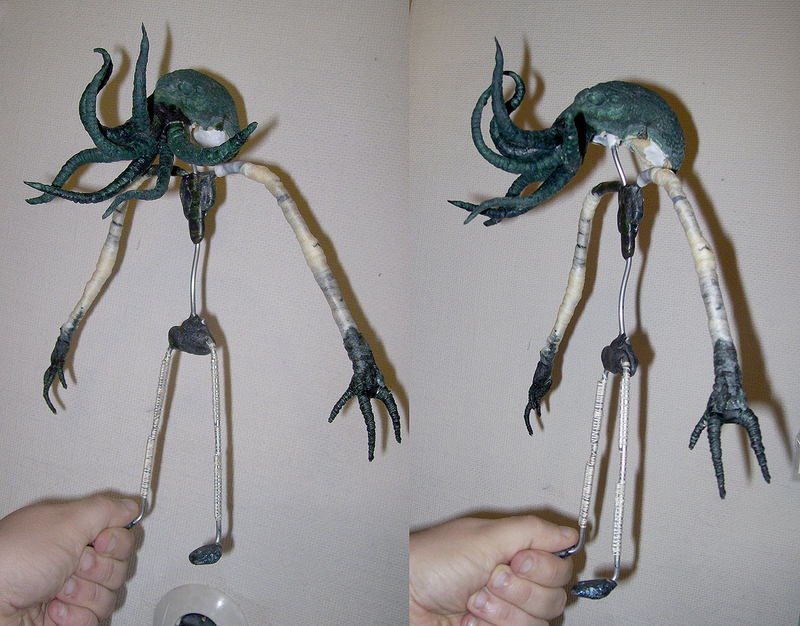 All in all, this puppet took about four days to build from start to finish. As I said, I didn't want to dwell too much on details, but focus on the essence of this very famous character. Hopefully I managed to do him justice. This puppet will be used in a project just nearing completion now, where he'll be seen in a short four second clip. But so far the reaction to this puppet in various social media has been so good that I'm already thinking of using it a bit more elaborately. One day I'll probably make another version, which is done with more consideration. For now, this fellow will do, I'm sure... A great wailing shall be heard, and the cities of man shall fall before his might!! 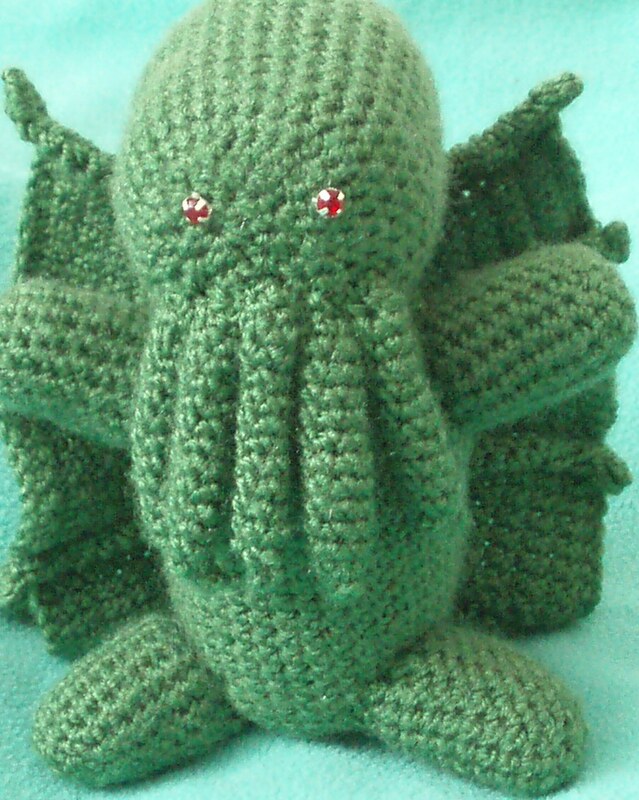 By the way, my favourite all-time version of Cthulhu is this knitted one, made for me a few years back by German knitting artist Hecateslight Muse on Elfwood and Deviantart. by simply cooping up in a small room clad with green cloth, and shoot your entire film there. I call upon your forgiveness, good Sirs and Ladies, but having the choice I now more often go for the green screen option, no matter what story I'm telling. 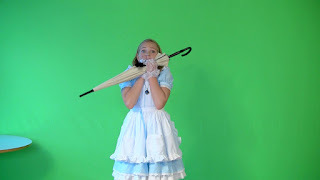 There is a bit of critisism flying about the internet pertaining to the fact that many amateur fillmakers are now using chroma key, or green screen effects, with a fervour that would impress George Lucas himself. I am, I confess, one of them. The complaint is that the filmmakers are lazy when they coose to chroma key a scene which could be shot on a real location, especially if they can't get the effect perfected. 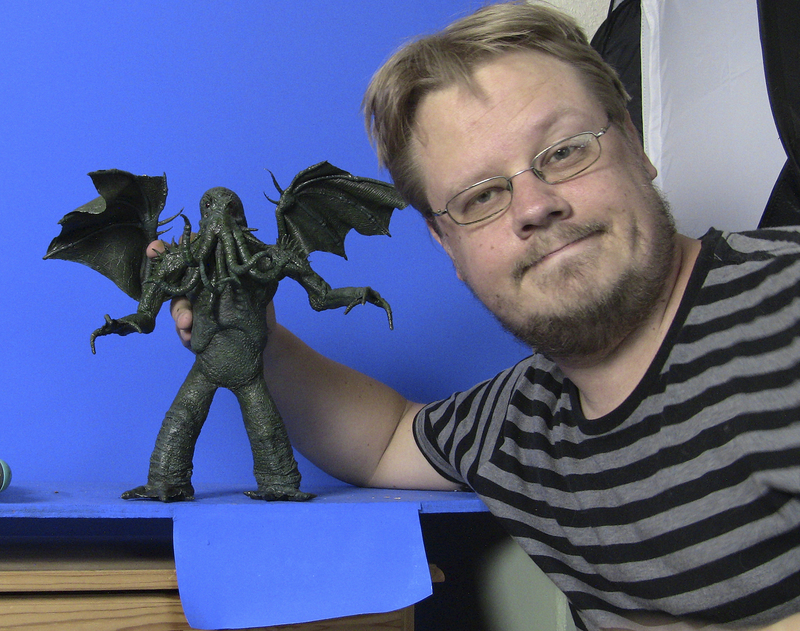 I have up til this week been using a 4m X 4m room for my green screen shoots. The main problem has not been its size, but the fact that the door into the room is slightly off set from the center, thus forcing me to always film at an angle, and thus never being able to use the full area of the screen. But now I've moved to a room almost twice this size, and the difference is remarkable. Now I can shoot more complicated stories, giving the actors more freedom of movement. But why is everyone using green screen so much? Let's take a few examples. Here's my British buddy Bernie, better known as mujawooja on YouTube. 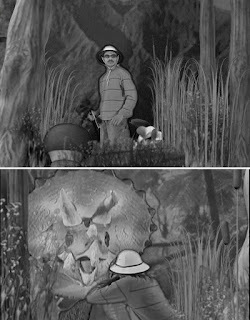 He does a fair share of location shot old-style slapstick comedy with his friend Jim, but he also tells stories taking place in all sorts of exotic locations. How to get there? 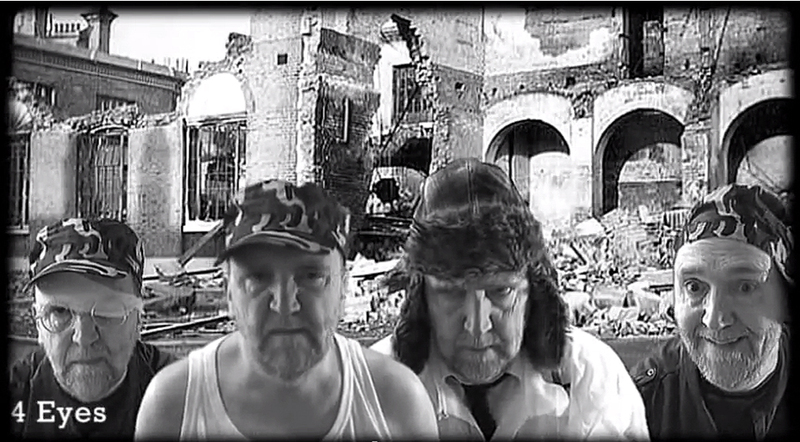 Get in front of the old green screen. Bernie's a green screen wizard, and when he's doing a video project all by himself he acts out all the parts on his own, sometimes taking this to extremes. The still you see here is from his film "Atomic Monster B Movie", where giant bugs threaten to destroy the world, and a super attack squad is called out to deal with them. Bernie plays all the members of the squad, and lets his imagination run riot. Another example: My teenage friend Anthony, more known as "kkmoviechannel" on YouTube, is obsessed with old stop-mo monster movies, especially the dinosaur-filled epics of Ray Harryhausen and Willis O'brien. 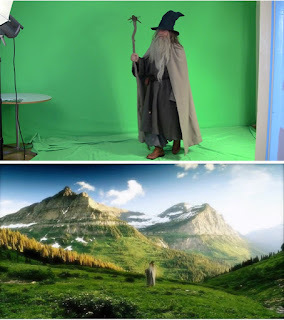 Since he has no money at all to spend on his projects, and even has difficulty finding actors, he gets around his problems by using green screen effects. Instead of NOT doing the sort of stories he loves to tell, he does the best he can with what he's got, and gets on with it. I applaude him for that. But why am I using green screen so much? When I started out way back in 1986 all I had was real locations, and so, filming fantastic stories in exotic locations always proved disappointing. Sand pits stood in for deserts and alien planets, and Swedish woodland rich with big ferns had to symbolically double for jungles. When I finally got into chroma key effects I realized that only my imagination was the limit. I could plonk people down in any location I chose. More than that; I didn't have to care about the weather or the time of day or night. 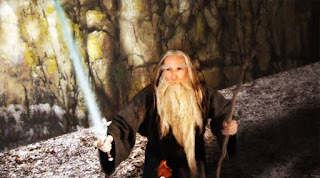 An example from my own repartoire: My Gandalf film shows the wizard walking in a variety of surroundings, both small, intimate and familiar forests (shot on location), and grand fantasy landscapes (shot in my green screen studio). 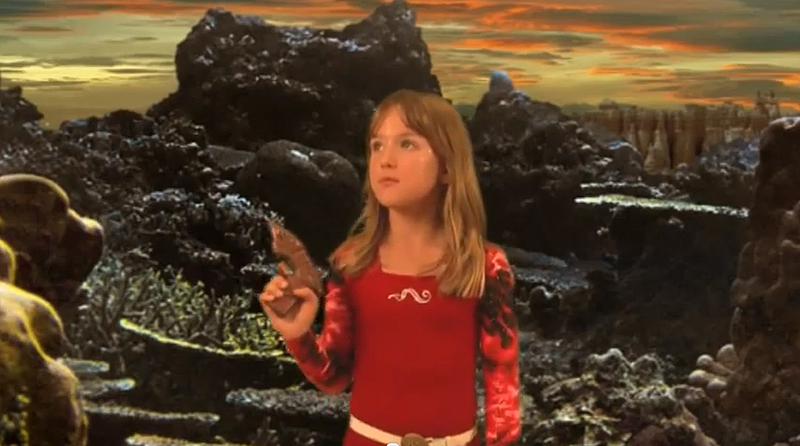 I quickly found that the chroma key shots better conveyed what my imagination wanted to show the audience. 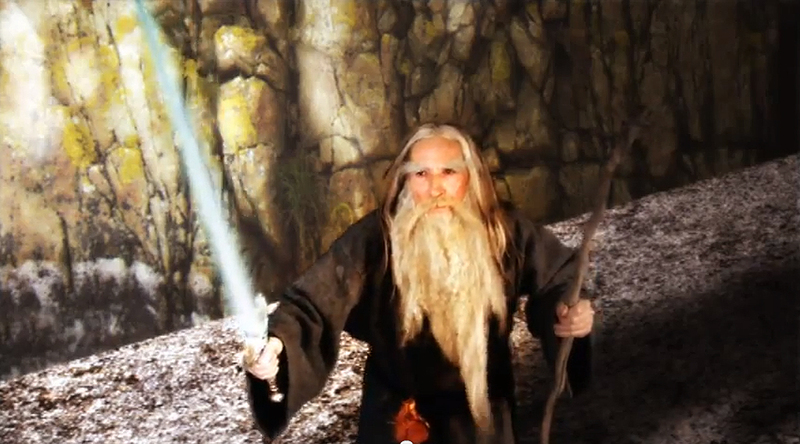 Of course, having Gandalf appear on the bridge of Khazad-Dûm necessitated the use of green screen. The fact is, the more I've been using chroma key, the more my imagination wanders and invites ideas of grander stories to tell. Though the effect is far from perfect, I feel that it's effecient enough to suspend audience disbelief into accepting what they see as a particular fantasy world, not only in the story, but also in the visual style. 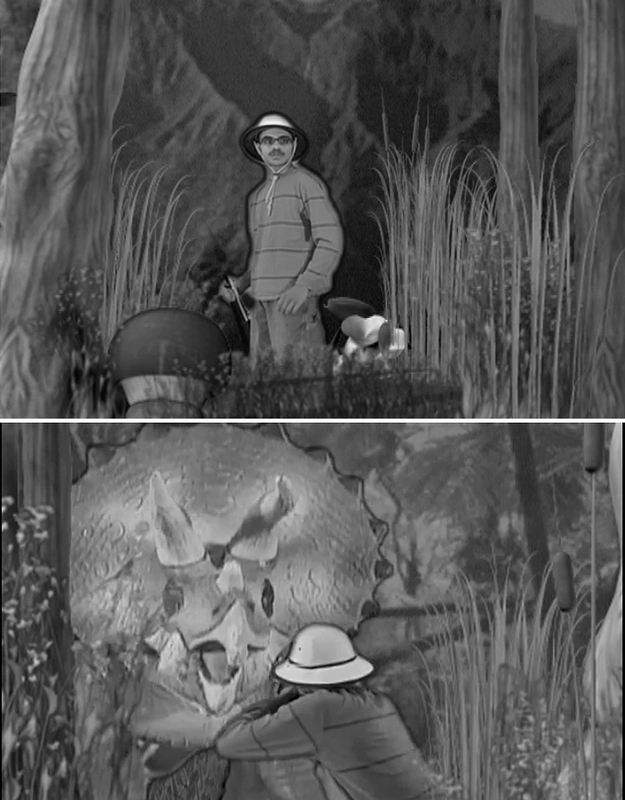 I'll go so far as to say that this is the same supension of disbelief that allow us to enjoy a silent film, despite it being in black and white, and without sound. A particular example of this is my film "Save Prince Plutonium" which is completely contained in a chroma key world of photoshopped surroundings. This is a highly artificial reality, but it's consistent, and therefore (I hope) convincing in the same way a surrealist film, or an expressionist film can convince despite it's bizarre visuals. Here's the thing; The ever more available chroma key software options allow more and more amateur (or "independent") filmmakers to dream bigger and dare more. That is a good, even great, thing I think.